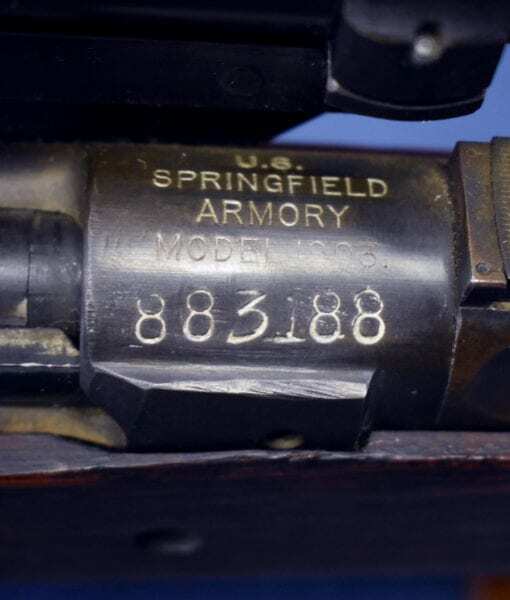 I would have to say this is one of the most unique and enigmatic US military arms we have ever taken on. 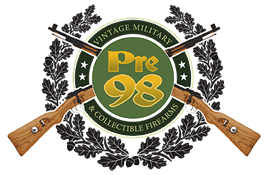 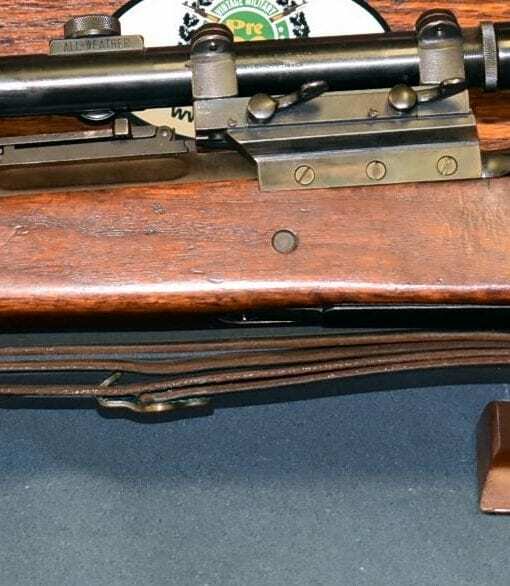 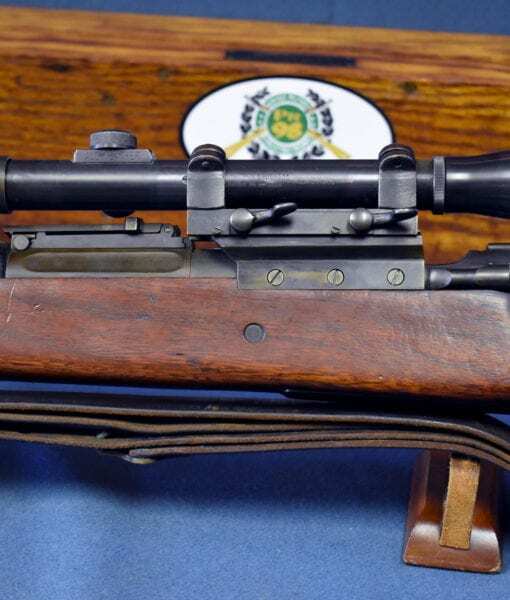 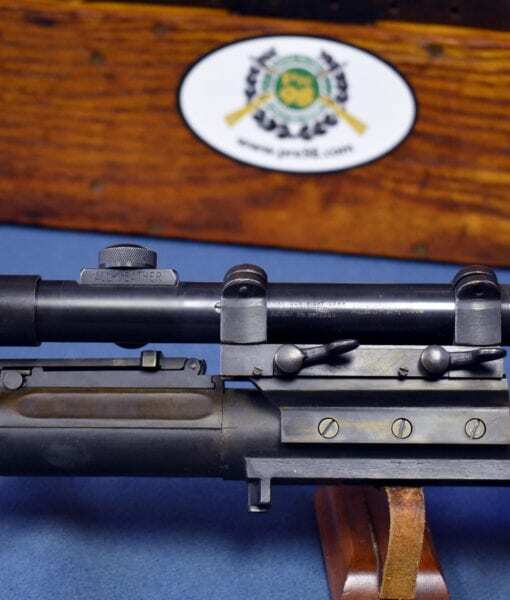 In excellent condition, we have a very unusual, probably unique M1903 Springfield that has been converted into a 20 inch barreled sniper carbine with an original numbered M1C Griffin & Howe scope mount and an original Lyman Alaskan Scope with the M1C sunshade. 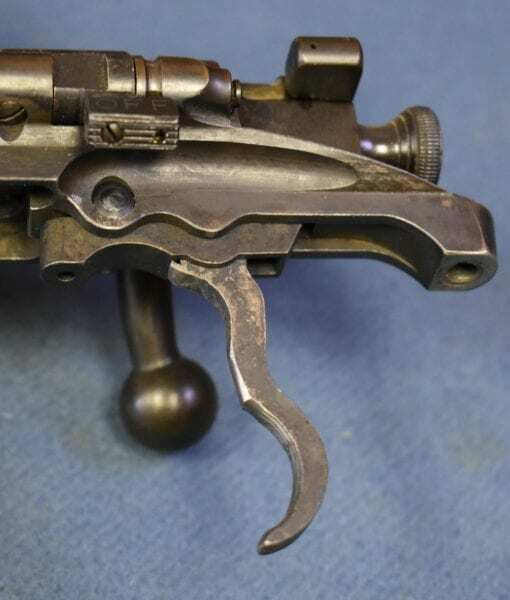 This is not some jack leg gunsmith job, it is a very high end product using the utmost skill and trade craft. 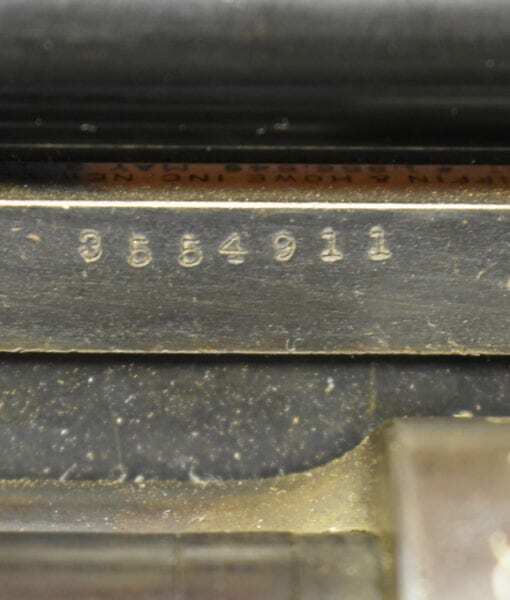 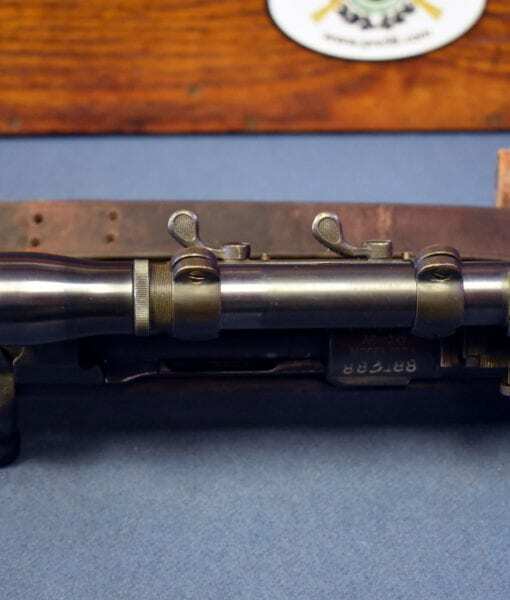 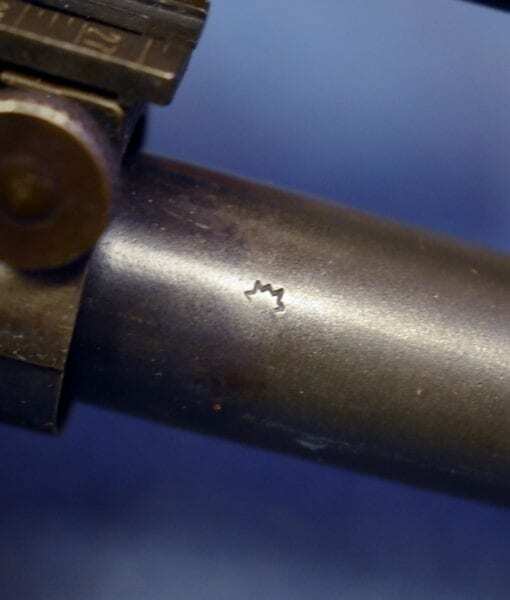 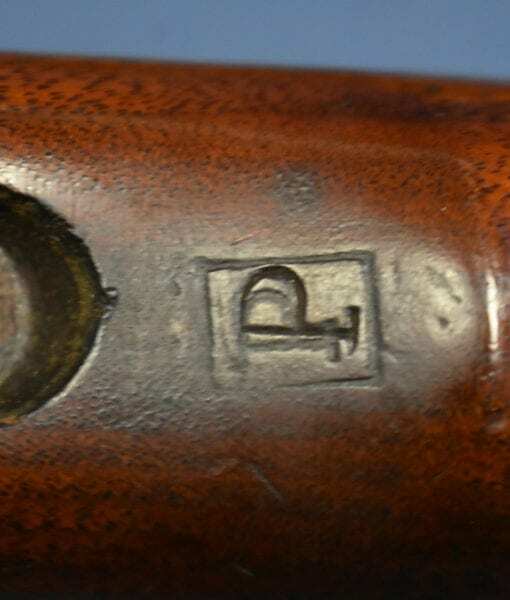 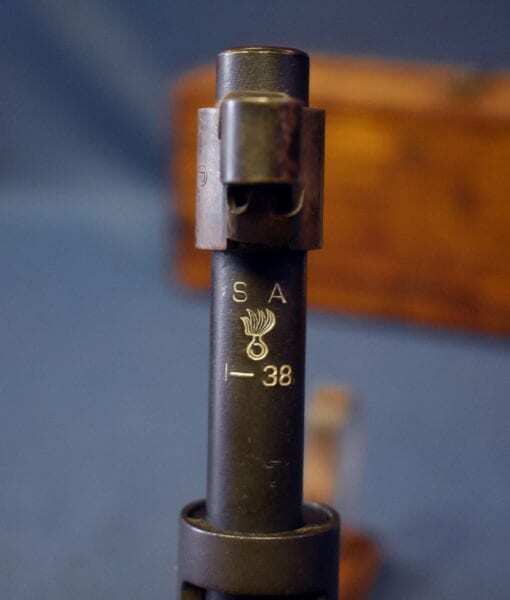 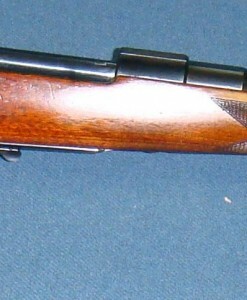 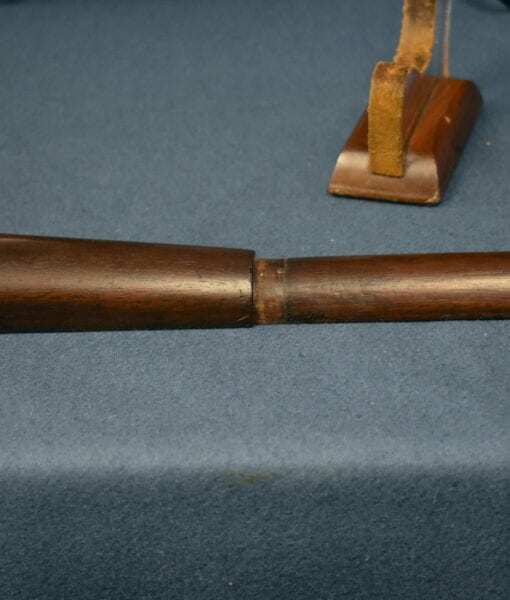 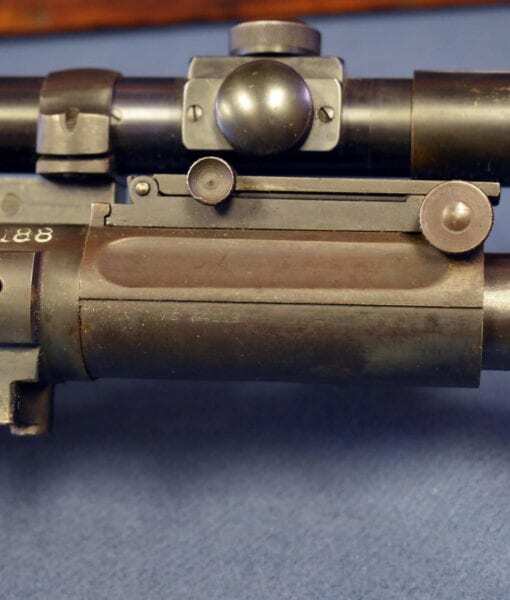 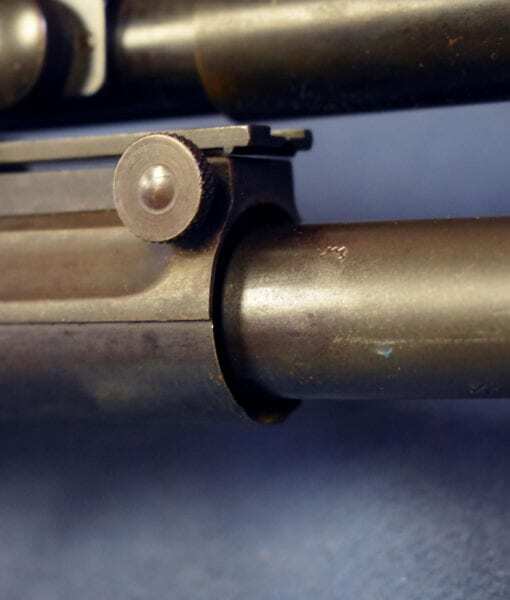 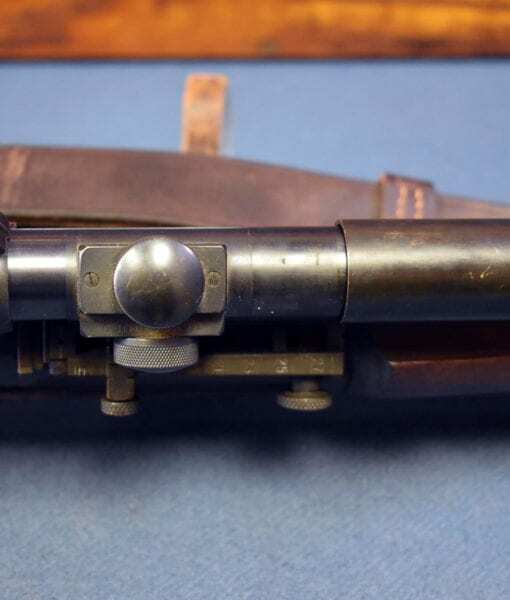 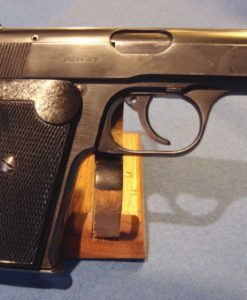 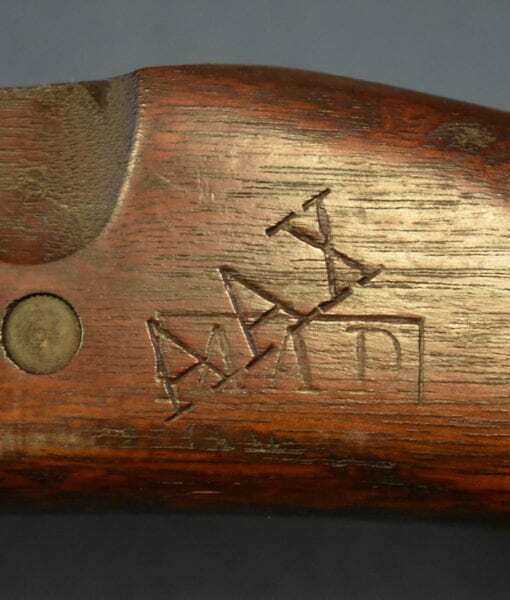 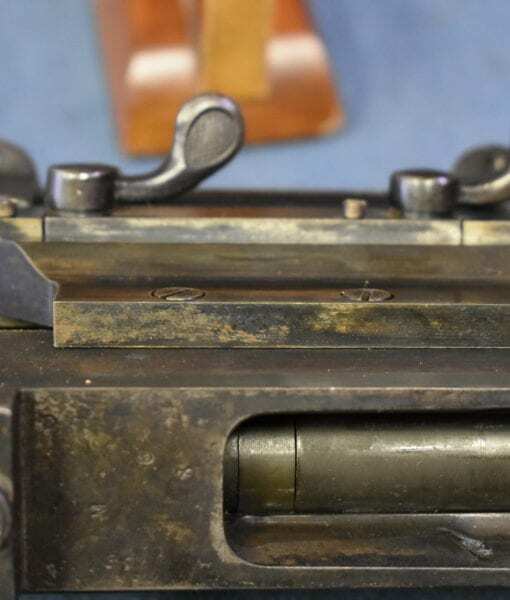 For example the barrel was not chopped at the front, it was shortened at the back, which would require an extreme amount of metal modification and re-threading etc. 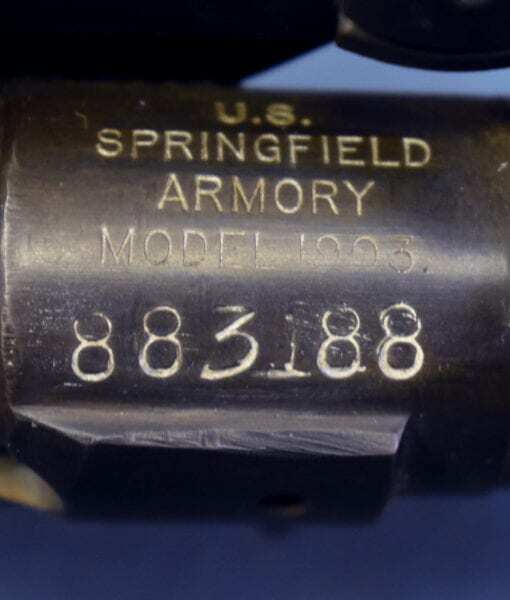 All of this extensive and time consuming conversion work was probably done in 1944 at the Augusta Arsenal as the piece bears two Augusta Arsenal WW2 era inspection cartouches, AAX & AAD. 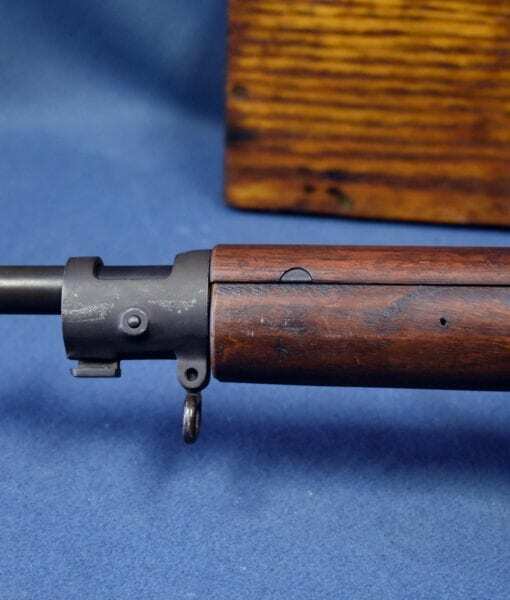 What we know about this carbine was that it was made for use in the Jungle and did see action in Burma late in the War. 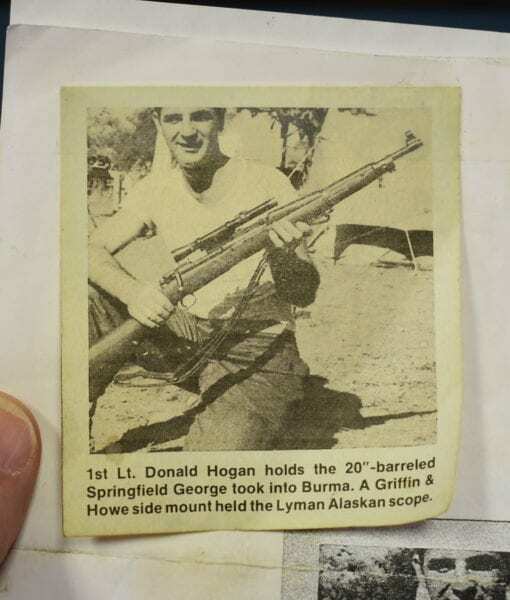 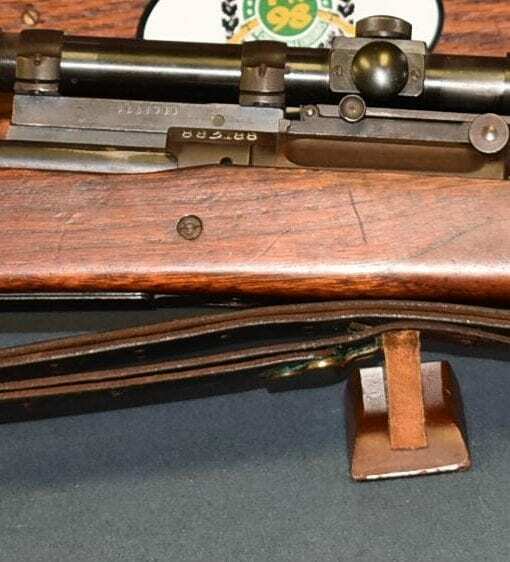 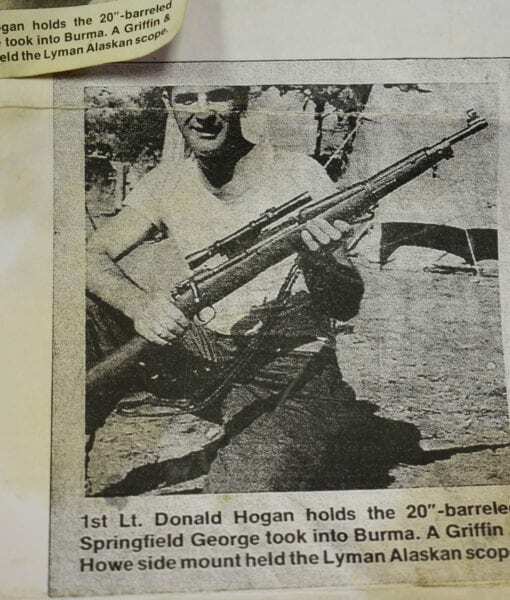 A picture of the actual rifle in Burma accompanied it and the caption reads “1st Lt Donald Hogan holds the 20″ barreled Springfield George took into Burma. 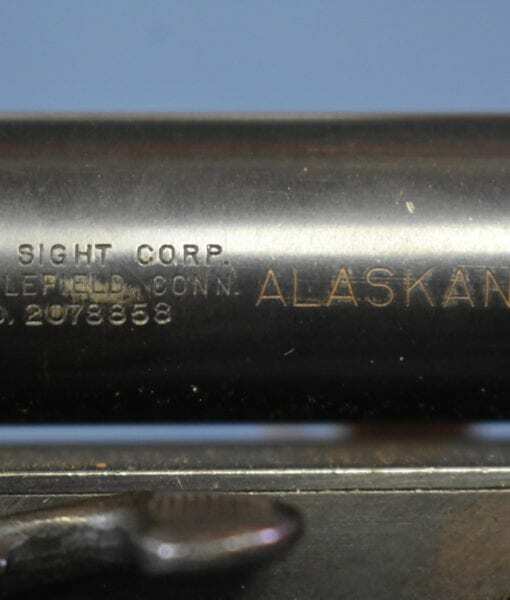 A Griffin & Howe side mount held the Lyman Alaskan scope.” We have tried to track down this photo with no success. 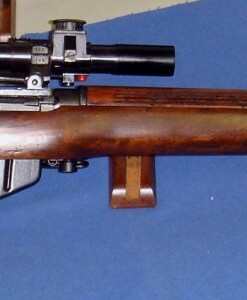 In my opinion this sniper carbine was built to order based upon actual combat experience in the jungle. 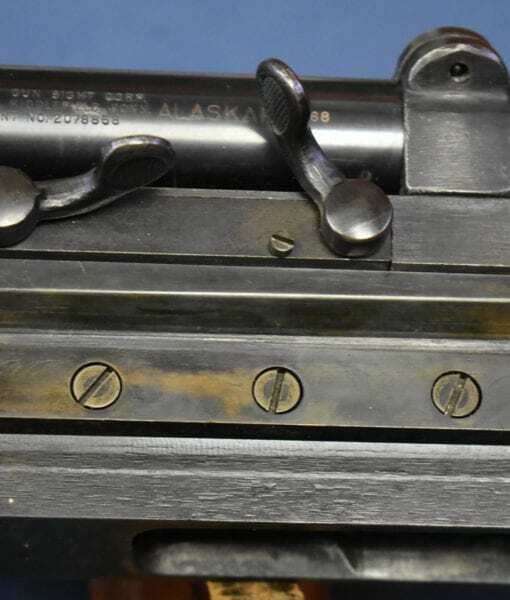 It falls very much into the vein of the Bushmaster carbine modifications that were used in the Panama Canal. 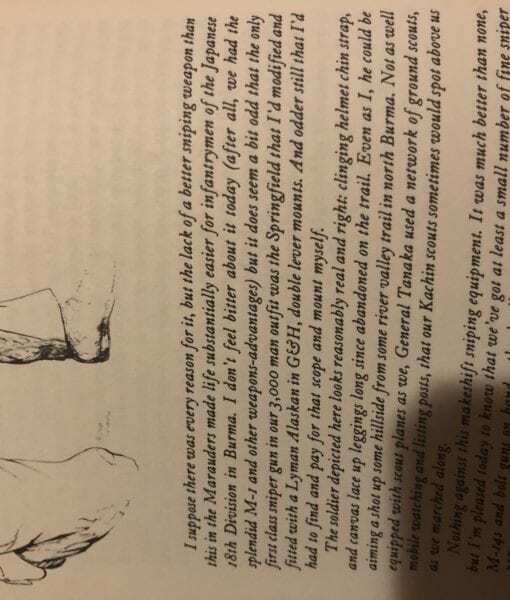 Until more information is uncovered we will never know the full story. 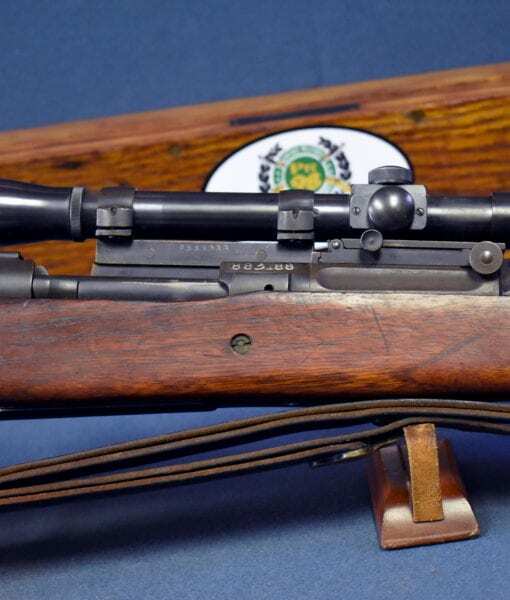 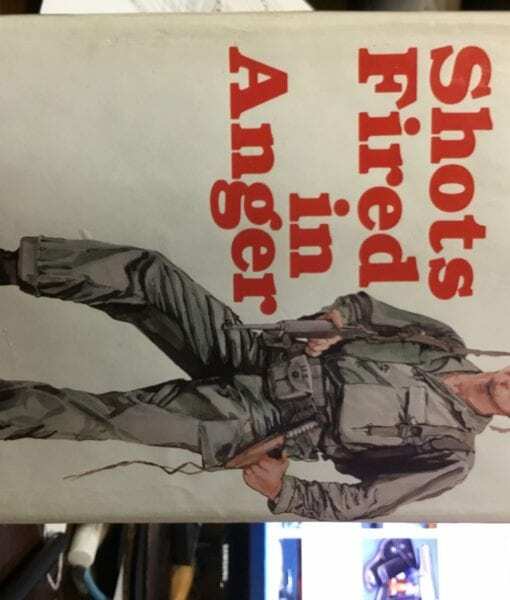 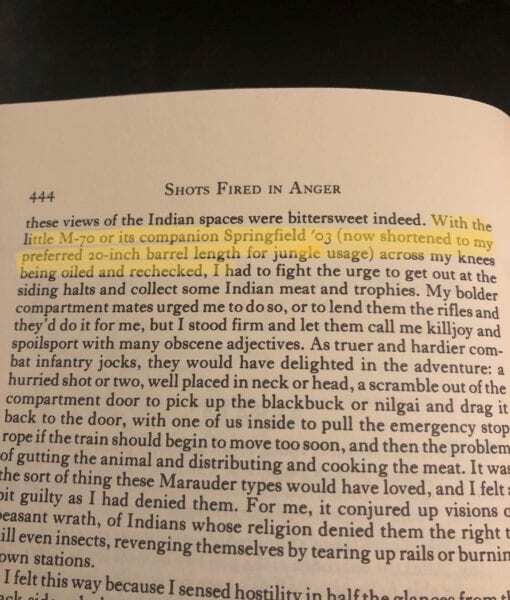 UPDATE: we now know who “George” is……Captain John George S-2 of MERRILLS MAURAUDERS, known to have carried a shortened scoped 1903 rifle as recounted in the book, “Shots Fired in Anger”.